Choosing the right apartment for your needs requires careful consideration. Do you want a garden-style apartment or a townhome? How many bedrooms do you need? Which layout best accommodates your lifestyle? At Enclave at Cityview, we provide a variety of studio, one, two, and three bedroom apartments and townhomes in the Cityview neighborhood of Fort Worth, TX. At Enclave at Cityview, our on-site management team can help you choose your next apartment home. Beyond the floor plan itself, what is inside the studio, one, two, and three bedroom apartments at Enclave at Cityview makes all the difference. We’ve designed our apartments and townhomes to incorporate the features you’d choose for yourself, as well as convenience to help with daily living. 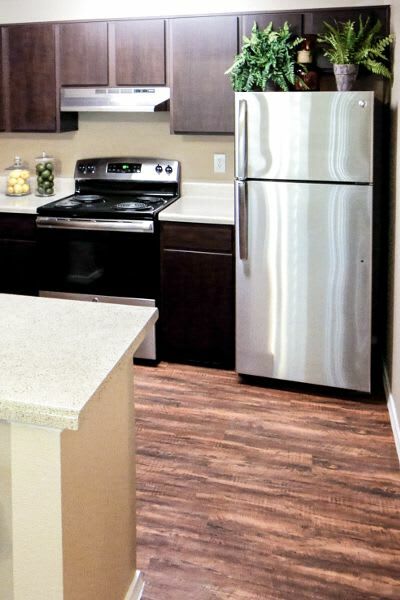 The apartments at Enclave at Cityview include hardwood-style flooring and full kitchens with stainless-steel appliances and granite countertops. All of our apartments include air conditioning and ceiling fans to create the ideal climate no matter the season. Fireplaces add warmth and ambiance to your home. Choose from garden-style classic units or newly renovated apartment homes. Contact Enclave at Cityview for more information about the current availability of our upgraded studio, one, two, and three bedroom apartments and townhomes in Fort Worth, TX.